I'm constantly wanting to write about morality, about how we need it to be a body of facts that we draw on but we doubt that it can be. I want to write how it looks to me that our emotions more than our reason underpin our morality. Some days that makes the precious edifice of right and wrong seem frighteningly fragile. Somedays I feel that's more robust and resilient than any other way it could be. You punch my arm and I am genuinely surprised to find that you are not smiling. You make me promise you that we will never drive that path again. You hold her in your talons to your breast. Your wings beat as fast as hummingbirds though they are as wide as an eagle’s. Then you are pierced and you can’t figure out how to bring pressure to the wind anymore. It’s impossible but you’re not going to make it. It still feels impossible the following year and the next. You see a body in a bed. It is your own and I stand over you but we are so much older. A minute passes and beneath my occasional sob it’s my breathing you notice first and your lack of breathing next. When you see the pillow in my hand you remember struggling to find air against it. You can’t remember if you asked me to...what. You can’t seem to care about what you’re seeing. You are made of mesh. Four hands hold your corners and fling you out across the sea. You drift down, salt water moving through you. “This is what slicing something feels like” you think, recalling idly observing your hands and a knife in another life. You hear the throaty chuckles of success from above you as you bear down on living things. You feel the panic of the fish you trap. When one escapes it takes your guilt with it. You celebrate the fish’s freedom which feels traitorous, which feels wonderfully wicked, which feels contrived. You keep sinking until the sun vanishes. Don't Get Sick in the U.S.A. I planned to write about the Catholic church’s attempts in America to oppose women’s access to contraception. To understand that this is what they are doing requires an understanding of the U.S. Health care system. Basically Australian women access contraception directly through their doctors so the Catholic Church can’t restrict contraception here except through disinformation or working to ban it. In the U.S. Health care is often dependant on your employer and prohibitive outside of employer sponsored insurance programs. This puts employers, including the Catholic church, in an awkward chain of responsibility for womens’ access to contraception. I realised however that if I cram an explanation of the U.S. health care system into a post that is already about Catholicism, contraception, feminism and rights theory it may never end. On the basis of good advice to make my posts about fewer points (thanks Mum) I’m going to write just about the U.S. health care system. I can then use this post to refer back to when I write on the issue of contraception in the U.S. I wont go too much into the gross inneficiency of the U.S. system. You can find much of that information here. My intent is to illustrate as comprehensively as possible how the U.S. works and is being reformed. In writing this I found the way the U.S. does health care to be fascinating. I feel much more up to speed on the whole “Obama-care is tyranny” claims of American politics too. So you may enjoy this piece on its own merits. Don’t get sick in the U.S.A. is one of the best pieces of travel advice you can ever receive, up there with not toasting the English Queen in a Dublin Pub. Compared to Australia the United States has a fend for yourself health care policy. There is no regulation or restriction on what is charged for health care. Consequently residents of the U.S. spend more per capita on healthcare than any country in the world, and half of all personal bankruptcies in the U.S. are attributed to medical costs. The vast majority of resident Americans fend for their health through private health insurance. 27.8% of U.S. residents howerver are covered public insurance schemes including Medicaid or Medicare and similar smaller programs. Medicaid is a means tested government health insurance for people in poverty. Eligibility for Medicaid is also restricted to citizens who are pregnant, disabled, children and/or parents of eligible children. Medicare is a national insurance program for citizens over 65 and people with permanent disabilities, paid for by Social Security payments. The Military is also a major provider of public insurance to those serving and their families. Lastly the 2009 Census listed 16.7% of U.S. residents as uninsured. These people effectively rely on Red Cross free clinics and other charities or bankrupt themselves. Only 9% of U.S. residents obtain private insurance directly. 60% purchase it through an employer. Bulk purchasing of insurance by large employers enables reduced premiums in three ways; improved purchasing power, economies of scale in health provision, and a shared risk between healthy and unwell policy holders. (Yes, everything a public system gets you and less.) But the greatest incentive for employer provided health insurance is that health insurance costs are not treated as taxable income (since 1954) and so employers can offer a higher take home pay by bundling health insurance with wages. Employer contributions are also exempt from salary taxes. In 2008 over 95% of employers in the U.S. with more than fifty employees offered health insurance. · Expanding eligibility for Medicaid to 133% of the poverty line (where applicants meet the other criteria mentioned above as well). · Subsidizing insurance premiums for all people making up to 400% of the poverty line. · Penalties for employers with over 50 employees who don’t offer health insurance. 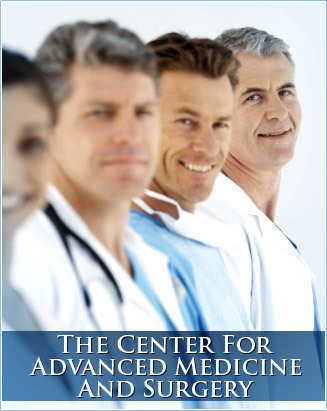 · Prohibiting denial of claims or denial of insurance based on pre-existing conditions. · Prohibiting annual coverage caps. · Requiring insurers to spend a minimum of 80% of premiums on either health care or quality improvement. Surprisingly these changes are estimated to reduce the public cost of health care in the U.S., according to the Congressional Budget Office by $138 Billion over 10 years. This is partly due to the inefficiency that comes with delivering health care to people in emergency situations, which is more prevalent when people are uninsured. In 2008 an estimated $43 Billion was spent on unreimbursed emergency services for the uninsured. More substantially the savings come from correcting overpayments for providing Medicare from the government to private insurers. Under a faulty contract made during the previous Bush administration $177 Billion would have been lost over ten years in payments for nothing. Basically it’s on the back of this correction that a reduction in overall health spending via the reform package is being claimed. To address this issue the conversation has to shift to price capping or even more radically the public provision of health care not just public purchase of it at market prices. Imagine the reaction to those proposals if the Obama administration is already being labelled both socialist and national socialist for their changes so far. 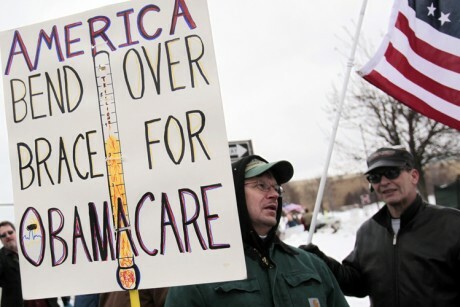 Indeed the U.S. is weathering a political storm of their modern Tea Party who are particularly incensed by the penalties for the uninsured to take out insurance. Reading through the rhetoric it seems that debates over health care in the U.S. occur in an abstract universe of high principles and dichotomous thinking; it’s either the Wild West or Stalinist Russia. Only an ideologue would keep things going as they are yet in 2008 45% of U.S. residents surveyed by the Harvard School of Public Health thought the U.S.A. had the world’s best health care system. That’s a lot of ideologues. Australians can be smug if we want that we have been far more successful in keeping health care costs under control. Our Public Pharmaceutical Benefit Scheme subsidises medications chosen according to their proven efficacy in relation to their price. That price is determined by negotiation at a national level. Effectively the government purchases medications wholesale. However we shouldn’t deny our inability to rein in dental costs through a public system. Further asking the U.S. government to show some spine to their pharmaceutical industry by reining in prices is a much bigger deal than us taxing the super profits our unwilling large mining companies. So smug may not be appropriate. Labels: Catholicism, contraception, health, insurance, U.S.A. I want to write about Atheism and specifically about what is wrong with Atheism. However I feel certain that I will be misunderstood. Basically I am opposed to the Atheist project but not atheism in particular. See that probably didn’t make sense to you. Firstly I am not saying there is a God. I am not disputing the facts of Atheism. This is exactly where it feels most people are at in this conversation, trading proofs of Gods existence or non-existence. I think the conversation has to move on from this. It is fruitless and boring and unedifying. I understand that Atheists may find saying “No sorry, but not for me” about someone else’s God is so frustratingly difficult that moving the conversation on from whether God has to exist is premature. “I’m still trying to gain some wriggle room here,” may be their thinking. This kind of silliness has been recorded for centuries. Arguments over God’s existence make a glacial progress which is far outstripped by the pace of our forgetfulness. Once in a thousand blue moons someone actually says something different and it’s usually a reworking of something said previously. I quite fancy the argument from Divine Hiddenness but it’s not much more than the argument from suffering rejigged. Furthermore it is all, both arguments for God and arguments against God, arguing from plausibility while pretending you’re arguing logic. To do so, is sneaky and malicious debating. The honest thing to do is not to say “You are all a pack of idiots because you can’t see that clearly obviously due to X and Y God exists or doesn’t,” but instead to say “I think this because of this. Sure it could work the other way but that makes less sense to me.” I believe that almost everyone involved in these debates knows this but denies it. At least I hope they are just being sneaky; I shudder to think that so many high profile Atheists and theists are so colossally stupid to be genuinely unaware that plausible and logically necessary are not the same thing. For example the splendiferous universe is sometimes given as proof of God, whereas the Atheist instead puts forward the terrible wastefulness of the universe as proof of no-God. For the theist the finely tuned balance of the laws of gravity and the time it takes to soft boil an egg (a minute! That’s bloody convenient!) proves a cosmic designer. For the atheist the countless witless deaths of individuals, whole species, even whole solar systems, just to deliver the Quran between 610 and 632 AD is so inefficient the cosmic designer is more likely to be someone’s idiot nephew than God. But neither of these supposed arguments compel logically. Both sides can shrug their shoulders at the others point of view and say “I see it differently,” because these arguments are only compelling personally. They are narratives which take credibility from plausibility. God is a conceptual squirrel. I’d wear that on a t-shirt. The whole point of (some) Gods is that they are different from us and certainly within the monotheistic traditions followers are beholden of God to tell us what they’re like. Consequently as ludicrous as God might seem to me there is no way to reason from that ludicrousness that God doesn’t exist. They may squirrel themselves into some path of reasoning we can’t perceive. Hence both the mystic and the atheist sing together that God makes no sense. Case in point is Jesus’ return. Is two thousand plus years enough to conclude he’s not coming back? What ever you think, it should be obvious that not only one conclusion can be drawn. Believes Jesus is the Son of God. Into marriage but not for gays. Burnt witches (while ago now but witches remember). Has conferences and speeches about not believing in God. Writes books about not believing in God. Stories about washing rice bowls and what not. Supposed to be calm all the time. I think the above illustrates how the inanity of arguing about God’s existence is a little more crippling for the Atheist movement than it is for Christianity. Of course I’m being facetious, these are not poll results and certainly not objective facts (not all Buddhists are vegetarian, there are defacto Christians, most atheists don’t go to atheist conferences). Certainly there is nobody however much a part of the Atheist movement who would only do the three things listed above under Atheism in their life. However regardless of the many activities an Atheist gets up to atheistically (making cheese for example) all that gets badged as Atheism is the above. Meanwhile Buddhists, while being atheists themselves (some of them that is), have a lot more going on under the name of Buddhism. The effect of this is that making a big deal out of being an Atheist (the Atheist project) functions as celebrating a myopic obsession with pointless and often malicious debate. Reclaimed words are a great source of power for resistance movements. They blunt your enemy’s worst verbal attack. I embrace Queer, Wog and Freak at times in my own life. However they are also dangerous. Definition is a very important power and ceding it to others even if you separate out the pergorative aspect should have its costs recognised. The definition of people who don’t believe in God as Atheist is not tautologous but says something important. It says that this issue of God’s existence is the primary basis of their identification. It gives them only the face that fronts on to theism. But how is an Atheist supposed to escape being an Atheist when they are surrounded by theism that seems to force just such a definition? It’s not uncommon in my experience to be engaged in conversation with someone who talks about God, not as a belief they hold but as a present and matter of fact reality. In such a situation it feels appropriate, almost necessary to mention that I don’t believe in God. The moment I do, snap, I am presenting myself in terms of unbelief in contrast to their belief. The answer is to understand the religion game. Religions are answers to “life’s great questions” of what’s it all about and why should we bother with anything. When a Christian says they’re a Christian they are saying that somehow Christ (and everything that concept drags in to a conversation) answers those questions. When a Buddhist gives their descriptor they mean that Buddhahood or awakening is the answer (the root of Buddha is a Sanskrit word meaning awaken). When an Atheist says they are an Atheist it sounds like they are saying that being an atheist is the answer; that somehow realising Gods non-existence reveals what it’s all about and why we should bother with anything. I think that’s deeply weird and I’m an atheist. Further despite the noise of Atheist trumpets selling books like hotcakes I think most Atheists feel the same way. God’s non-existence is a fact for us. Any answer to lifes’ great questions we have will therefore have to incorporate that fact but knowing God’s non-existence isn’t the answer itself. That distinction is important. So when someone tells me about their God the appropriate response is to recognise our conversation as one in which we are sharing our answers to life’s great questions and respond with mine. If I don’t like the conversation that’s fine to say. If I have no answer then that’s fine to share too. If I don’t believe there is just one answer but that everyone has to find their own calling then that’s also fine. If I believe it’s just about comforting each other on this strange blue orb in space then that’s good enough. If my companion chooses to scoff at these and say “That’s not much of an answer,” I can point out that I didn’t criticise their answer and hopefully they’ll apologise. But if I say “I’m an Atheist” then I’ve misunderstood the conversation. In return I’ll probably be misunderstood myself – as myopically obsessed with a fruitless debate in lieu of any engagement with the great questions of life. Because that’s what I’ve just said. Charles Dickens and small “c” christianity. When I reviewed Alister McGrath’s history of Protestantism, I was surprised that though he discussed protestant novels there was no mention of, to my mind the greatest Christian author, Charles Dickens whose 200th birthday has just passed. I think that Dickens is genuinely overlooked as a Christian author because his definition of Christian is so radically different from the standard. I want to explore that difference with this post. Dickens’ definition of a Christian can be understood through his villains and heroes. 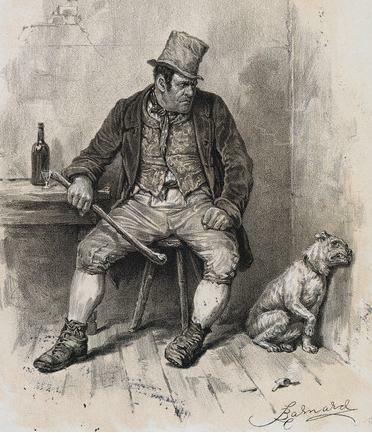 Dickens villains are bitter, miserly, violent, bullies and “needless to say cowards”. They respond to the suffering of others with a cold heart or even with a cruelly glad heart. 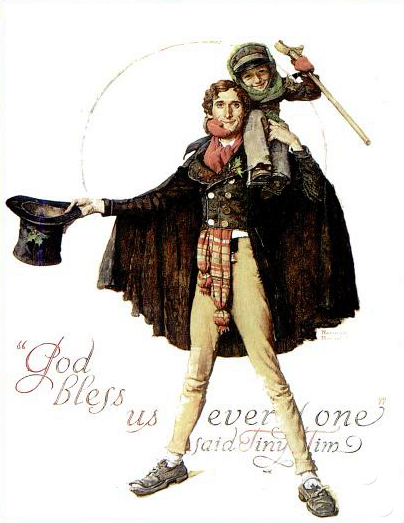 Dickens’ heroes are generous, joyous and honourable. Most importantly they respond to witnessing suffering with instinctual kindness. Their hearts are warm and they feel tenderly towards others. The distinction between these two is Dickens’ christianity. It is rightly spelt with a small “c” because Dickensian christianity is not so much something you either are or you are not (a type of person typified by a capital “C” Christian.) It is much more something you embrace by degree. The most famous of Dickens’ conversions Ebeneezer Scrooge endeavours to be more christian much more than he does to become a Christian. Of course this can also be described as a qualitative change – Ebeneezer going from wanting to be less christian if he can to wanting to be more christian is a dichotomous reversal – but it’s the quantitive aspect that excites me. What excites me about quantitive small c christianity is that it paints a radically different picture to big C Christianity. Many non-Christians and Christians alike understand Christianity a bit like a place you enter, an ark would be a fitting metaphor. Outside the ark is one fate (“Is that rain?”) and inside is another of spiritual preservation. To enter you need to firstly believe what Christians believe; Christians believe in a Trinity of divine persons, one of whom is Jesus who rose from the dead. Most Christians believe in Heaven and Hell and that sin (which is universal) will land you in Hell but that God’s forgiveness gained through the death of Jesus can gain you access to Heaven. Many Christians would add believing in the authority of the Christian Bible as a requirement too. Belief itself won’t make you a Christian however. Keeping your place on the ark requires a commitment beyond belief. Before Jesus died and rose again it required keeping the law and making sacrifices through the temple. After Jesus it requires something else. Primarily you only have to recognise the sacrifice Jesus made and your spot on the ark is secure. In practice though this can be quite difficult as there is recognising Jesus’ sacrifice and really-fully-absolutely recognising it which is incompatible with any sense of personal merit. 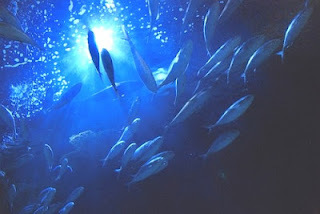 In fact certain Christian theologies argue we are so inherently sinful we simply can’t meet this requirement adequately but must be chosen by God to do so. This description glosses over many differences between Christians but the ark metaphor is generally apt. Even those Christians who criticise the in-out model of Christianity acknowledge its existence. In Dickens’ christianity there is no true out group. To be christian is one’s natural state and it is still visible in dim fashion in many of his worst characters. The whole joyous nature of Dickens’ christianity can be found here. The christian approaches their fellow human expecting a kindred spirit in regards to warmth and kindness. Like a naive child they envisage it buried under the worst exteriors – they seek to awaken it, to thaw it out. They put their hope in it. Small “c” christianity is everywhere, can’t be killed (or will only rise again) and belongs to us all as a birthright. Wherever it is curtailed is therefore a tragic and unnatural affair. Conditions which might crush this native christianity (such as the workhouses of Dickens’ time) are the ultimate manifestation of evil. The big “c” Christian by contrast is theologically obliged to expect sinfulness from others. It is their common bond with every other human – that state of warranting punishment. Inside the ark is no better – sinners reside there too - however compliance with God’s perspective gives them at least the behaviour of goodness. Acknowledgement of their sinfulness is also a significant distinction. Christians sometimes make a big deal out of how there is no in group with Christianity – all are sinners. Non-Christians don’t generally think this is the case hearing in language like saved and unsaved, repentant and unrepentant a clear in-group out-group division. As someone who knows both groups I’d say the truth is somewhere inbetween. Breaking out of that prison, blinking at the light and getting connected to other people (not just other Christians) is crucial to Dickens’ christianity. The air was filled with phantoms, wandering hither and thither in restless haste, and moaning as they went. Every one of them wore chains like Marley's Ghost; some few (they might be guilty governments) were linked together; none were free. This kind of poetic licence has a long and valued tradition within Christianity. The Drummer Boy is a late invention in the Christmas tradition for example. However Christians are also taught through churches build on doctrinal fault lines to cherish precise doctrinal positions. Dickens seems to rush on to the broader active implications of imprecise doctrine instead. He therefore has the freedom to use metaphysical descriptions that make his point rather than treat biblical metaphysical descriptions as bodies of fact from which doctrine must derive. Interestingly some modern scholars think this is truer to what the Bible itself is. It is probably though what costs Dickens inclusion in official church reading lists. In addition to this theological liberality Dickensian christianity is also unpopular because of the contemporary political landscape. Dickensian christianity is foremost common decency inspired by the stories of Jesus. Secularists are engaged in separating common decency from religion altogether. Despite his de-emphasis on theology Dickens can’t be easily brought into such a project. Quiet statements of faith are not the same as absent ones. Dickens merely noted (like Mark Twain and, you could argue, Jesus) the least christianity in the most schooled theologians. But the heart Dickens considers more important than the head is clearly a Jesus inspired heart. Neither does Dickens give any support to contemporary public leaders (such as Mitt Romney) claiming God and our basic moral principles are intertwined. Dickens’ values are just too different. Instead of relative abstractions such as the underpinnings of democracy, the intrinsic value of human life or even capitalist economic principles, Dickens talks about “gentleness, mercy and forgiveness.” It’s hard to galvanise righteous fury around these values, or to demonise your opponents from them. Subsequently Dickens is irrelevant to both sides of the “culture wars” between conservative Christians and secularists. Despite this unpopularity I know many people that I would consider Dickensian christians. They are people for whom their childhood understanding of Jesus as the lover of the excluded is still their most treasured inspiration. They don’t abide theology or manners that separate them from that naive perspective. They are often not confident defending their definition of Christianity against other more sophisticated models. I hope this post will show them they have a champion. But he was always merciful and tender. And because he did such Good, and taught people how to love God and how to hope to go to Heaven after death, he was called Our Saviour. – The Life of Our Lord Chapter 3. Australia Day. Less is more.